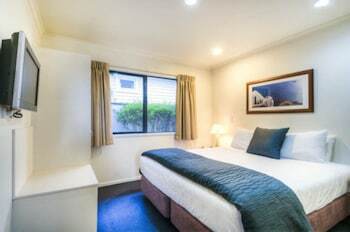 A stay at Claremonte Motor Lodge places you in the heart of Hastings, within a 5-minute drive of Hawke's Bay Racecourse and Hawke’s Bay Fallen Soldiers’ Memorial Hospital. Featured amenities include a business center, dry cleaning/laundry services, and luggage storage. Free self parking is available onsite. With a stay at Avondale Motor Inn in Auckland (Avondale), you'll be within a 15-minute drive of University of Auckland and Auckland Zoo. Free self parking is available onsite.